GCC spec white SUV/Crossover, tan interior with parking sensor rear, 4WD and a 8 cylinder engine. GCC spec, white 8 cylinder SUV/Crossover with beige interior. It has ABS and keyless go. 2009 Lexus with airbags (front and side), tuner/radio, sunroof. Grey/Silver with tan interior. Black 2011 8 cylinder SUV/Crossover. Price AED 125,000. Red interior. It has front camera and CD player. GCC spec Lexus LX 570, white SUV/Crossover with beige interior. It features all wheel drive, 20 inch wheels and ABS. Price: AED 144,500. Reduced price! White Lexus LX 570 2011 Facelift to 2018 from 2011 with beige interior. AED 335,000 for this GCC spec, white 8 cylinder SUV/Crossover with tan interior. It has air conditioning and power windows. 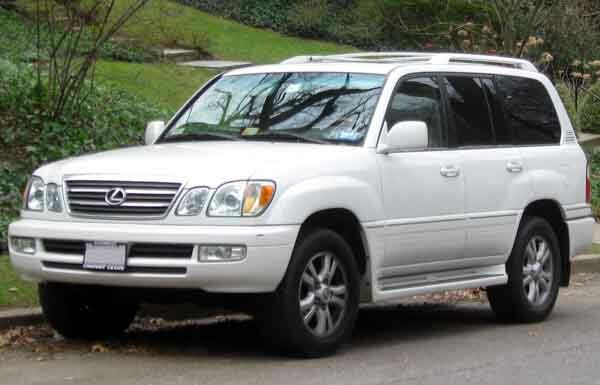 Automatic Lexus LX 570 with 20 inch wheels, CD player, tuner/radio, white on the outside, beige interior. GCC spec Lexus LX 570, grey/silver SUV/Crossover with red interior. It features airbags (front and side), 21 inch wheels and 4WD. Automatic 2014 Lexus LX 570 with 21 inch wheels, 4WD, air conditioning, burgundy interior, white exterior. GCC spec. Grey/Silver SUV/Crossover with red inside. It has ABS and power windows and has 22 inch wheels. Automatic 2010 Lexus LX 570 with 20 inch wheels, power seats with memory, ABS, beige interior, white exterior. Opportunity! A 1997 grey/silver Lexus LX 450 now available at a reduced price. Black SUV/Crossover, tan on the inside with tinted windows and ABS. 20″ wheels. 2008 Lexus LX 570 with features such as multiple off road option selector, airbags (front and side), adaptive lighting. It has tan interior and is Black. Imported spec. Reduced price! Black Lexus LX 570 left hand drive facelifted to 2018 TRD sports design exterior and interior for EXPORT ONLY from 2009 with red interior. GCC spec 2010 Lexus with LED headlights, 20″ wheels and Navigation system. Price reduced! GCC spec Lexus LX 570 with Roof rack, 22″ wheels and Bluetooth system. Price reduced! Automatic GCC spec Lexus LX 570 with 20 inch wheels, air conditioning, adaptive lighting, beige interior, white exterior. Automatic, 19 inch wheels, ride height control, power seats with memory, beige interior, grey/silver exterior. White SUV/Crossover with beige inside. It has USB and leather seats and has 20 inch wheels. Automatic 2009 Lexus LX 570 price AED 135,000, with 20 inch wheels, parking sensor front, power seats with memory, grey interior, grey/silver exterior. GCC spec. GCC spec Lexus with Tuner/radio, 18″ wheels and Heated seats. Price reduced! Automatic Lexus LX 570 with 20 inch wheels, power locks, rear camera, white on the outside, tan interior. 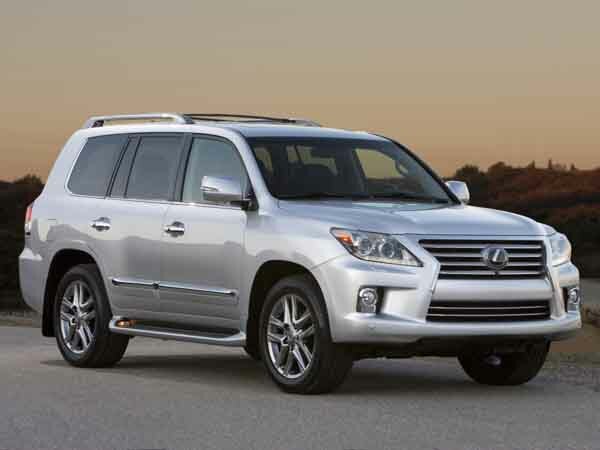 Abdul - I bought my second hand Lexus LX570S for a great price, and what fantastic cars they are. I can see why every other person owns one. Pros: Great features, off road capabilities and power. Cons: Can get thirsty quickly. Mohammed - Buying a pre owned 2011 LX 570 model was the best idea ever, it was either this a Land Cruiser or top of the range Nissan Patrol. But neither of the two could compare, the price was a little higher but worth every dirham. Pros: Value for money, power and interior options. Cons: Odd noise coming from the second row. Ali - Excellent vehicle for the climate and terrain here in the UAE, I can drive it on a Friday to the desert for a couple of hours and drive back to meet my friends at Dubai Mall afterwards for a movie. Pros: Comfortable front seats and good off road and on road. Cons: Third row seats are cramped. Ultimate luxury inside and ultra rugged on the outside, the best of both worlds. Resale value is high. Whether it's an American Import or a GCC car, finding someone to buy a pre owned Lexus LX 570 for sale in Dubai, UAE is very easy. You can also export the vehicle and sell it overseas. Even though it’s an SUV, it’s reliable because it hails from the land of the rising sun, Japan. Eight passengers can fit inside perfect for long road trips and for hauling lots of items both rear rows fold down to provided loads of space. With a powerful V8 under the bonnet and state of the art drive mode selector, any terrain is easily navigated. Only two models of the LX series are known or even seen at those are the LX470 and LX570. 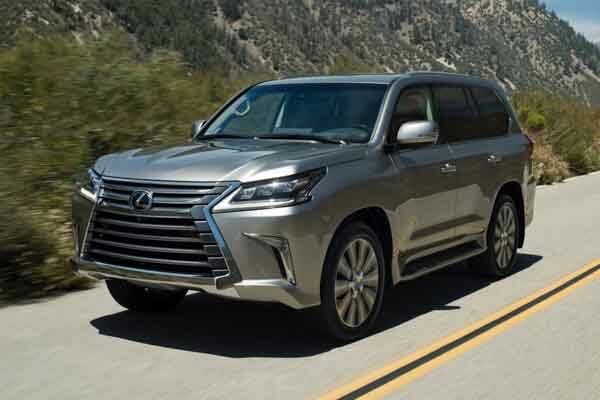 1996 marks the launch of this luxury SUV and it proved likeable all around the world and especially in the GCC, that would explain why there are so many used Lexus LX570 for sale in Dubai, UAE. With powerful engines throughout it’s lifespan, 2016 models propelled the icon into its latest generation and hopefully more to come, with heavy hitters such as the Infiniti QX80, Range Rover and Mercedes Benz GL Class. Even though it’s an SUV, LX stands for Luxury Crossover. As mentioned previously, the LX series rolled off the production line during the mid 90’s. To many, it appeared as just an enhanced Toyota Land Cruiser. However, it was far more than that. Standard features include leather upholstery, heated seats, climate control, CD player, sunroof and seating for up to eight people. As the years went by more and more features became standard such as powered front seats, cool box, navigation, rear TV screen with a built-in CD player, trailer coupling and 17-inch alloys as well as xenon headlights. During the first generation, power was derived from a 6-cylinder 4.5-litre petrol engine mated to a four-speed automatic transmission. Once in the second generation, the 6-cylinder power unit was dropped in favour for a 4.7-litre V8 motor coupled to either a 4-speed or 5-speed automatic transmission. Production for the LX470 lasted two generations though 1996,1997,1998, 1999, 2000, 2001, 2002, 2003, 2005, 2006 and ended officially in 2007. Over its tenure it won plenty of awards and for good reason as it stays true to it’s Japanese heritage. Now entering its third generation. Lexus revised the entire vehicle and changed the badge from LX 470 to LX 570. With a fresh approach, it started to look distinctly different from its Toyota brother. Now rolling on 20-inch rims as standard basic features included navigation, cruise control, sunroof, dual-screen rear entertainment system, cool box, cooled front seats, multi offroad selector and more. Regarding safety parking sensors, 360-degree camera, blind spot detection mirrors, airbags and ABS all slowly became standard as the years went by. This generation also introduced us to the Titanium, Sport Platinum Plus and Supercharger models, all of which have distinct markings to their exterior and minor interior changes to give consumers a wider variety. The latest re-imaging of the LX 570 came with 2016 models, a massive front grille was added with pincer-like LED lights attached to the front, while round the back new LED rear taillamps were added for smarter look and it even includes Audi style indicators. Now riding on 21-inch rims as standard along with a cool box (finally) a few other extras were added to base models as were a multitude of colours. All the options from previous models became standard too along with additional safety features such as brake assist, lane departure assist, adaptive cruise control, rear cross traffic alert and more are available as extras. Four V8 engines are available with various displacements with the highest being the 5.7-litre mated to an 8-speed automatic transmission and generating 362 horsepower. In other parts of the world, 4.7, 4.6 and 4.5-litre displacements are on offer and mated to either an 8-speed or 6-speed automatic transmission. LX 570 models are available as 2008, 2009, 2010, 2011, 2012, 2013, 2014, 2015 and 2016 models.